It’s once again that time of year that we are heading to the shops ready to burn a hole in our pockets buying things for our nearest and dearest. 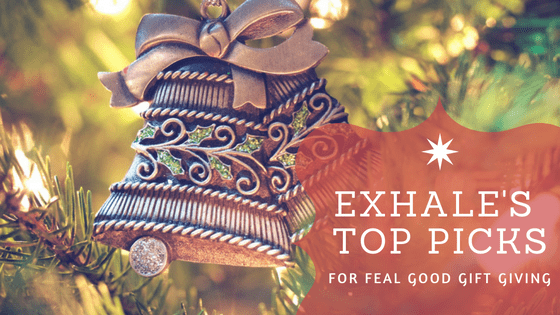 Every year I like to give you a few ideas for Christmas Gifts that are thoughtful, ethical, that support local business and will make you feel better about spending your hard earned dollars on them. doTERRA Essential Oils perfect for anyone really, whether it be a new mum, overworked partner or challenging toddler. Here are just a few suggestions. Essential Oil Diffuser is important to use to maintain the quality of your oils, especially if buying the doTERRA brand as they have been so specially formulated you want to keep all the healing molecules in tact. We welcome you to stop by the clinic and pick up both your oils and diffuser. Vanilla Lemon Heaven – perfect for those with a sweet tooth as an after dinner sip to keep you away from the chocolate! C Strength Citrus – a beautiful tea that you can turn into iced tea and sip near the pool this summer! The Proppr – can purchase directly from them and use the code “exhaleprops” at check out to receive a discount! Those are just a few of our favourite things (insert Julie Andrews voice here). Whatever you choose to do this year we wish the happiest, healthiest and merry-est Christmas, Hanukkah and New Year!